Please Note: Brian A. MacNeish is a non-member guest and is in no way affiliated with InterNACHI or its members. This was the pic I was looking for (it was on another computer). The supply diffuser is a three-way discharge design (indicated by the purple arrows). 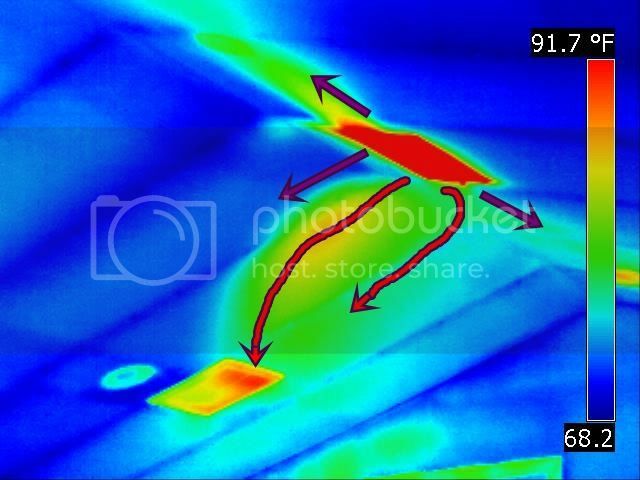 As you can see the return duct is overcoming the supply of air throw into the room. Why is it so cold at the floor in this room?